For many players, the fact that online casinos offer multi-hand blackjack simply means that they can get more action in a shorter period of time. 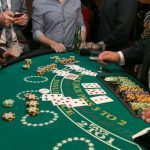 While this is definitely true – and this can either mean more fun for you, or that you can clear a bonus in a shorter period of time – there are other advantages to playing a multi-hand game that can help cut down on the house edge. One of the biggest downsides to online casinos for advanced blackjack players is the inability to count cards. 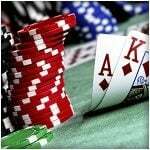 In online casinos, the shoe is “shuffled” after every hand, meaning that players get very little deck penetration and essentially can’t get enough information to make card counting viable. 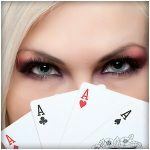 That’s not to say you can never get any useful information when playing online blackjack. Certainly, on some very close calls – such as holding 16 against a dealer showing a ten – knowing the cards that are out on the table can help make your decisions marginally better. Your ability to use this information increases greatly when playing multiple hands. If you’re playing three hands at once, you’ll have already seen seven cards before playing your first hand; by the time you get to your third hand, you’ll often have seen 10 or more cards out of the deck. Sometimes, these cards will have a very strange distribution that can affect how you’ll want to play a hand. For instance, going back to the hand where we hold 16 against a dealer’s ten, we know that basic strategy tells us to hit. However, what happens if we’re playing our third hand, and see that seven of the ten cards we’ve seen so far are cards that would make our hand (aces through fives)? The distribution of the cards should be enough to push our decision over to standing. Of course, this is only a small effect. Most of the benefits of card counting can’t be enjoyed when playing multi-hand blackjack; since you’ll start each hand that’s dealt with a full shoe, you can’t choose to bet more when the count is in your favor, and you’ll never be in a position where taking insurance is a smart bet. However, that doesn’t mean that the small amount of extra deck penetration you get from playing multi-handed blackjack should be ignored. 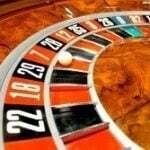 Treating the extra cards as a “mini card counting” situation might just help you shave a few hundredths of a percent off the house edge, which can be a big deal when trying to profitably clear bonuses.